When most people think about the First World War, they picture soldiers in muddy trenches on the Western Front. However, the war rapidly spread around the globe with battles taking place in Africa and the Middle East too. 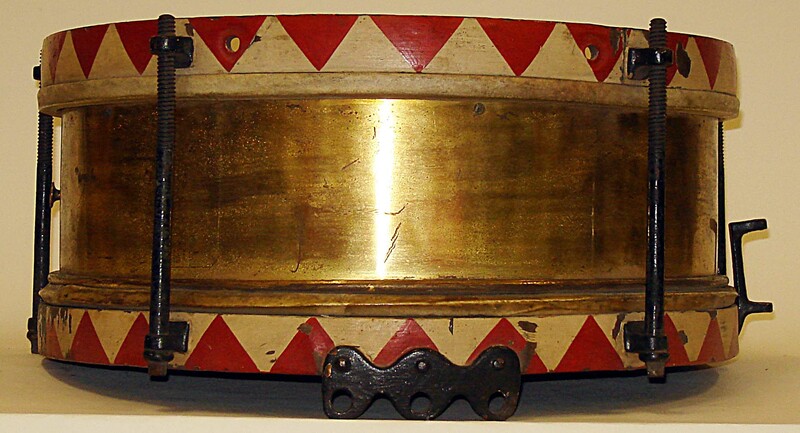 Our star object for November is this Turkish drum, captured from the Turkish forces by the 2nd Battalion who were stationed in Mesopotamia, which is now Iraq. The Turkish forces would play music as they went into battle to instil courage in their men and fear in their enemy. The 2nd Battalion were in Belgaum, India at the outbreak of war. It seemed unlikely that they would be called up to take part in the conflict, which most believed to be over by Christmas. However, with the entry of Turkey into the war later in the year, the 2nd Battalion would be launched into battle. 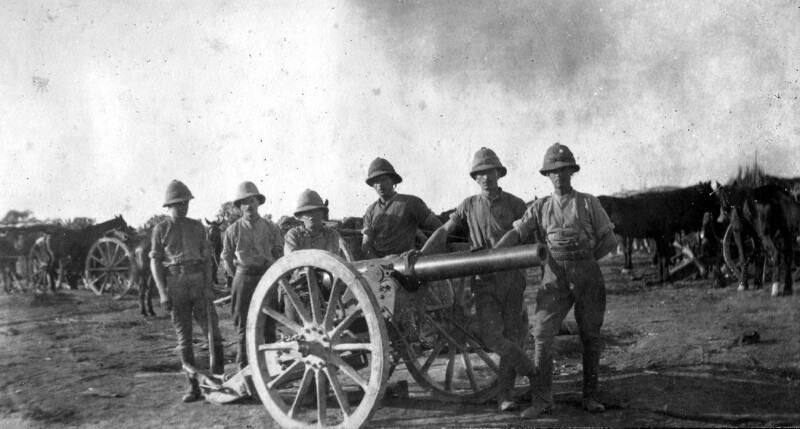 Soldiers with a Turkish field gun captured by the 2nd Battalion in Mesopotamia. On November 15th, 1914, the 2nd Battalion arrived in Mesopotamia and joined the 18th Indian Brigade. Two days later, the battalion advanced against Turkish forces. The Turks proved themselves as resilient fighters, leaving the Norfolks with high numbers of casualties. 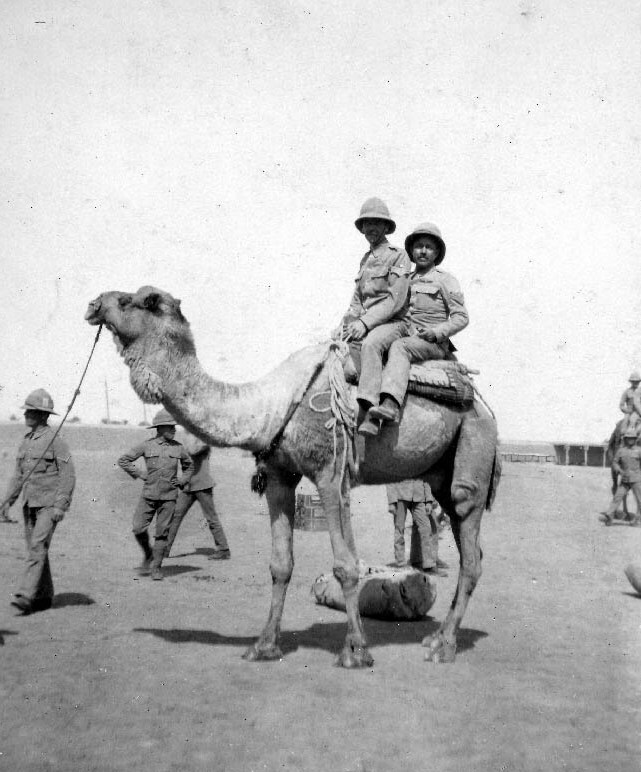 These men stationed in Mesopotamia faced wildly different conditions to those on the Western Front. On arrival in November the men, used to the heat of Belgaum, were without greatcoats or blankets. They soon discovered that although the days were humid and hot throughout the winter, the nights were freezing cold. As well as the extremes of temperature and the subsequent heatstroke, the men of the 2nd Battalion suffered from tropical diseases and illnesses caused by malnutrition and lack of clean water. The regimental casualty book (as featured in last month’s post) reveals a startling fact – from 1914 to 1918 three times as many men in the 2nd Battalion died or were hospitalised due to sickness than because of enemy action. Nineteen-fourteen had been a trying year for the battalion, but they remained in good spirits. However, nineteen-fifteen was to bring the start of their eventual downfall – the siege of Kut-al-Amara. This entry was posted in Uncategorized and tagged The Norfolk Regiment, The Royal Norfolk Regimental Museum. Bookmark the permalink.